Flights are to begin at Bangkok's Suvarnabhumi International Airport, where many tourists have been stranded. Dismissing a report that the airport would not be able to re-open until December 15th, officials said that they expect passenger flights to commence on Thursday December 5th. Both of Bangkok's airports had been occupied by thousands of anti-government demonstrators who staged a sit-in protest. But one of the leaders of protests, which shut down Thailand's two main airports for over a week, said that the demonstration would end on the morning of December 3rd. The decision was made after a court ruling was issued forcing the prime minister to step down after being found guilty of election fraud. All three of the country's ruling parties were also dissolved. Vudhibbandhu Vichairatana, chairman of Airports of Thailand, said that Suvarnabbumi had been inspected and no damage had been found. 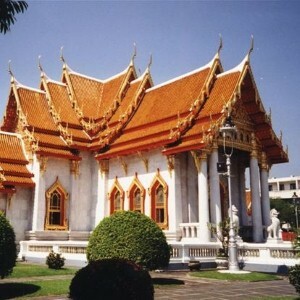 Thailand is situated in the heart of south-east Asia. It is bordered by Laos, Burma, Cambodia and Malaysia. Last year, it welcomed some 14 million international visitors.